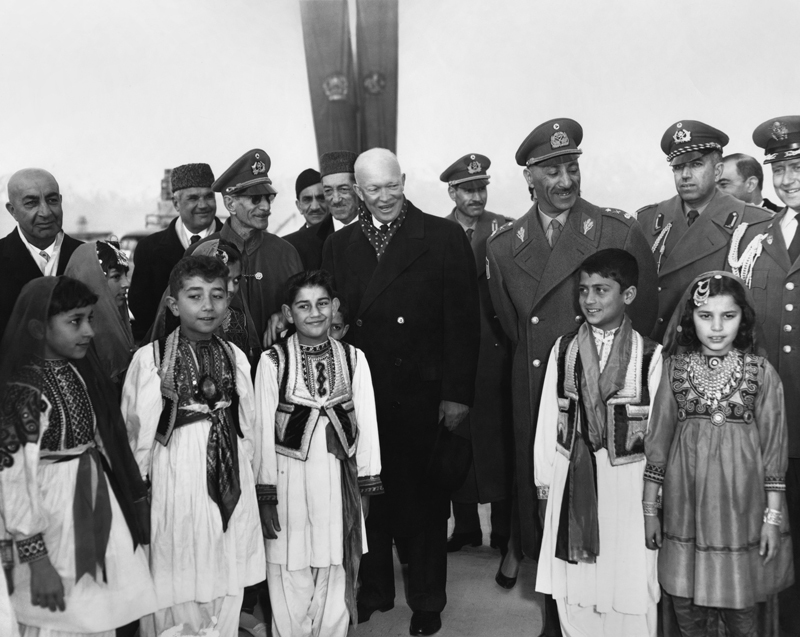 In Small Things Remembered » President Eisenhower is welcomed at the airport by King Zahir Shah, Afghan government officials, and children. Courtesy of the Dwight D. Eisenhower Presidential Library and Museum. 73-798-14.